Eureka: DIY Dishwasher Detergent… a new and improved recipe! Over the holidays, I managed to finally put together a batch of homemade dishwasher detergent that works perfectly with my new dishwasher! As you may have already read, the old version worked great with my old washer… but every machine is different, and so I had to come up with a slightly altered formula to yield better performance now that our kitchen remodel is complete. A bit of tinkering and voila! A new version using the same ingredients that leaves us with a dryer washer when we go to unload and sparkling clean dishes (especially the glassware!). YAY! I feel like a superhero. A green, DIY, frugal superhero. As before, you can scent this detergent however you like given whichever essential oils you choose to use. I am partial to a lemon-eucalyptus blend, but other nice combos would be rosemary-lavender, peppermint-lemon, or any sort of citrus-herb pairing. 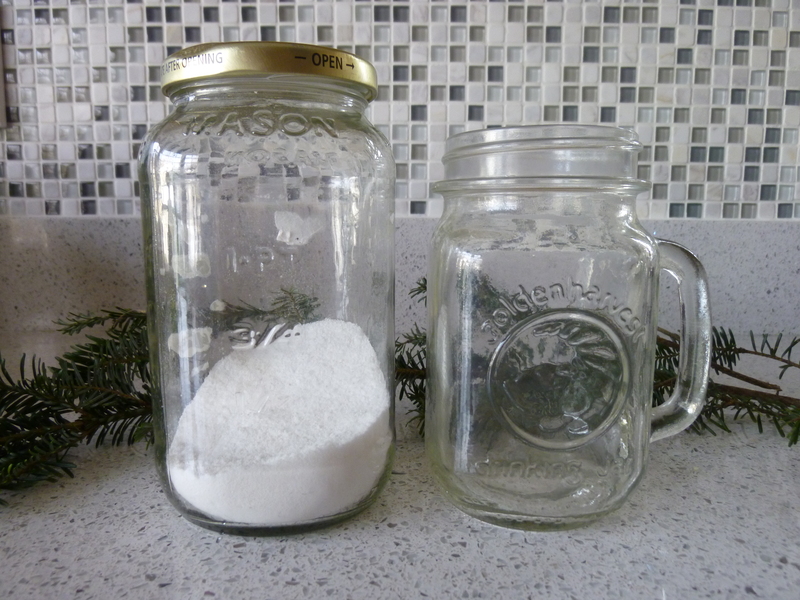 Combine washing soda, baking soda, salt, and citric acid in airtight container or glass jar. Mix well. Add in essential oils and stir again, mixing well. Store indefinitely in your airtight container. Use approximately 1 Tbsp per load (with a heaping tablespoon for heavier loads). Don’t forget to use your vinegar rinse aid! This entry was posted in Green Cleaning and tagged Citric acid, Detergent, Dishwasher, DIY, Do it yourself, Essential oil, essential oils, homemade, homemade dishwasher detergent, rinse aid, Sodium bicarbonate, Sodium carbonate, Tablespoon, Vinegar. Bookmark the permalink.